The Petronas Twin Towers (also known as the Petronas Towers or Twin Towers), in Kuala Lumpur, Malaysia are the world's tallest twin buildings. 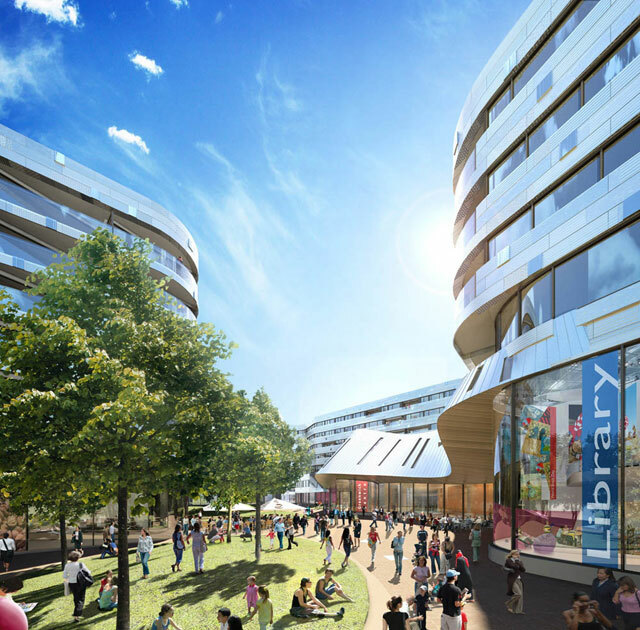 This competition-winning masterplan will convert a three hectare site in East Greenwich into London's first major carbon neutral development, providing much-needed homes for families while restoring the area's civic core. Make was appointed to work on the scheme by urban regeneration developers, First Base.